You’ll never guess the newest game last spring among the children of Cachiman, Haiti. They weren’t busy with soccer or drawing or cycling, but instead with filling small black planting bags with dirt. They just couldn’t get enough of it. In the community of Cachiman, families faced issues of deforestation and poor seed quality as they struggled to make a living off the land. In 2012, FH met with the parents of sponsored children to talk about possible solutions to these issues. A community tree and seedling nursery emerged as the community-driven initiative for change. Local pastor and Community Development Committee member Francois Lucius decided to offer the land beside his church to the project —rent-free for the first three years. Fifty-two-year-old Francois, a father of seven, said he wanted to see the entire community prosper for the sake of the children. With the site confirmed, the community came together to clear and prepare the land. Then the Haitian Community Development Committee chose what crops to grow in the nursery and made plans to ensure that the neediest people would be the first to benefit from the initial seedlings. Crops like cassava, banana, mango, avocado, lemon, and cocoa were chosen, along with cedar and mahogany tree varieties. Nicolas Desir began working with the project last March. At 70 years old, he had many grandchildren, but none them were able to attend school. He had a long history as a peanut farmer in Cachiman, but because he didn’t own his own land and couldn’t afford good quality seeds, he wasn’t able to make a profit. He grew only enough to feed his family. 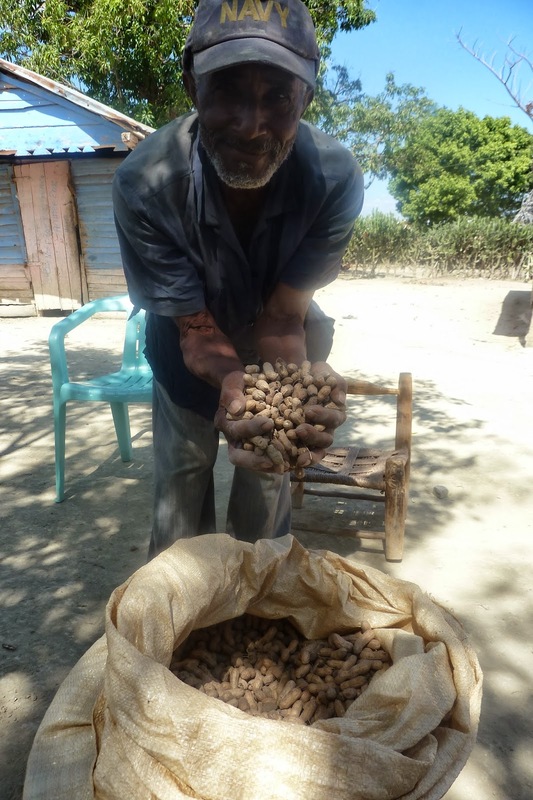 After receiving training and better seeds from FH, Nicolas harvested the high-quality peanuts and strategically re-planted the first yield to multiply the seeds. Since then, Nicolas’ wife has started a business to sell the produce, and for the first time, their grandchildren are going to school. "My life is getting better,” he explains. “I now have the means to survive." Life is improving for other families as well. Anthonide and her husband Aubergine also joined the project last March. They have a small plot of land close to a water source, but they couldn’t carry enough water to their garden to make it productive. Like Nicolas, they lacked the capital to invest in high-quality seeds, and didn’t have a sufficient crop yield to regularly feed their children or make a profit. Through their participation in the community nursery, they had access to high-quality seeds for peas, hot peppers, and corn. They were also given a garden hose which now carries water from the river to their crops. Like so many of the families involved, they have also started sending their children to school. Before, Anthonide wouldn’t even allow herself to hope that her children would make it to school. Now, she can’t stop dreaming. “I would like for one of them to be a doctor,” she says. The success of the community nursery project is especially gratifying for Francois, who has seen the land beside his church completely transformed. "Something good is happening here,” he says. “I love my community, and with this help, my community can advance." How can you help communities like Cachiman? You can help provide things like fruit and veggie seeds, tree saplings, garden tools, and more through the FH GIFT GUIDE.